The South West chapter of the Peoples Democratic Party (PDP), on Tuesday endorsed President Goodluck Jonathan for a second term in 2015. This is contained in a communiqué signed by the Chairman, South West Caretaker Committee of PDP, Chief Ishola Filani at the end of a meeting of the forum. The forum said it endorsed Jonathan because of his leadership qualities and transformation efforts. “After carefully x-raying the President’s qualities and in view of the fact that he is constitutionally qualified to seek re-election, the forum unanimously endorsed him for a second term in 2015,” the communiqué said. It also passed a vote of confidence in the transformation agenda of Jonathan and the leadership role of the National Chairman of the PDP. The forum also passed same on the PDP National Working Committee, as well as its Zonal Caretaker Committee. The forum commended the President on the measures so far taken in combating the current security challenges in the country. The meeting agreed that former President Olusegun Obasanjo should be the grand patron of the PDP in the South West. It agreed to work as an entity for the success of the PDP in all forthcoming elections in Nigeria, starting with the 2014 governorship elections in Ekiti and Osun, to the presidential and general elections in 2015. The South West PDP approved the setting up of the PDP Southwest Stakeholders Council under the Chairmanship of Sen. Lekan Balogun. The reports that the adoption was agreed upon at the Party’s Zonal Stakeholders’ meeting held at the airport hotel, Ikeja, Lagos. The motion for the adoption of the communique was moved by Chief Tola Odulaja from the Ogun chapter of PDP and was unanimously supported by all the members present through voice voting. Earlier in his remarks, Filani said that the meeting was part of efforts to reconcile the factions of the party in all the states in the South West. “This meeting is also to reposition our party for electoral success in our zone,” he said. The former Minister for Works, Sen. Seye Ogunlewe; former Ekiti State Governor, Chief Ayo Fayose; Sen Ayo Arise, Sen Isiaka Adeleke, Dr Olu Alabi, Lekan Balogun and Dr Ade Dosunmu, attended the meeting. Others in attendance were, Sen. Bode Olowoporoku, Chief Yomi Fini, Mr Jide Adeniji, Prof. Julius Idowu and Chief Dave Salako. The day was Saturday June 12, week 23 of the year 1993, the event was the much-awaited presidential election. Social Democratic Party’s Moshood Kashimawo Olawale Abiola on one hand; National Republican Convention’s Bashir Othman Tofa on the other. A massive turn out of voting peaked months of a glamorous electioneering; MKO called his Hope ’93; Tofa’s mantra I remember not. Buoyed up by a clear weather, millions on Nigerians from North, South, East and West earnestly rose to the occasion. In unison, they spoke in one voice lifted and one man above their shoulders. They were certain of what to expect; eyes set on black and white TV sets, while ears stretched up to the length of the transistor antenna. For women: costly shoes were retrieved from the angle of diminutive rooms…dance rehearsals on already. For men, liquor and freshly tapped palm wine were placed within reach…certitude of stupor-drinking was in no doubt. Hours later voting ended, an official confirmation would not come forth; not a single word! Speculations flew round like missiles in wartime, as tension progressively muster. “What has befallen us?” Individuals asked one another in local dialect. What could have gone wrong? Our man, a Southern Muslim, seemed to have bagged this one. He trounced his Northern Muslim opponent right in his Northern state. He triumphed at the national capital, Abuja; he conquered the military polling stations; he cleared over two-thirds of the states; nearly all votes swung his way. “The election is cancelled”, which to the people means, “Our hope is cancelled”. The dancing shoes were threw back in, the liquor and palm wine set aside. Doom overshadowed the land. The mighty ones would not heed the voice of majority of the electorate. Rather they put us through another traumatic era known as General Sani Abacha. 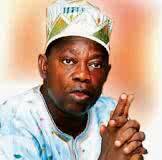 MKO went round the globe; “Help me get my stolen mandate”, he cried to world heads. By 1994, daring the odds and consequences, he returned home. “I am the President of Nigeria” he declared at Epetedo area of Lagos Island June 11, 1994. “What!” Abacha lamented, “Arrest and lock up the bloody civilian”, he ordered. The gun-trotting soldiers wasted no time; the job was done within hours. MKO’s charge was treason. “Years have gone by, give up the fight and regain your freedom. Oh, whatever your spent, you will get twofold”, they said to him. “No I will not, I am determined to fight to finish”, he replied. 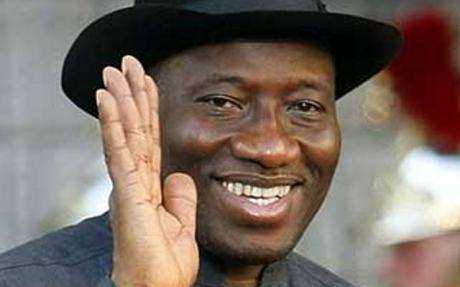 Tuesday July 7, week 28 of 1998 AD., five years and twenty-five days after his mandate was brazenly seized, he died! The circumstance surrounding the sudden demise has since not been established. Some say poison was mixed with the last cup of tea he was served, others say he was beaten to death. Shortly before his departure, an American delegation including today’s powerful Susan Rice visited him. They have maintained sealed lips. We cannot question the Almighty God, but we can request answers from human beings. The questions were asked long ago, and those who know it entirely responded. They will not allow us access. The custodians of evil should not slow down, we have been hurt so much that hurt can hurt no more. I find solace in the end of our existence, in that we will all give account on how we spent our time here. To my namesake, Bashorun Moshood Kashimawo Olawale Abiola, we may never be as generous as you were. But we are continuing the struggle to ensure that, those who use our collective wealth to purchase things as cheap as toothpicks do the right thing for the good of the people you sought to serve. Continue to rest in peace, the President they never allowed us have. All Progressives Congress (APC) says it has fulfilled all prerequisite conditions for its registration by Independent National Electoral Commission (INEC) as a political party. Mr Mustapher Saliu, deputy national chairman, Congress for Progressive Change (CPC), stated this in Abuja on Thursday. Saliu, who added that all processes had been done according to the specified laws, said members were now waiting for INEC to “fully register” the association. “So we will wait for INEC for its response and at the same time, we will continue to mobilise members and put our house in order,” he said. Saliu said that the essence of the meeting of the merger committee and the leadership of the merging parties on Wednesday was to consider what had been done so far and the way forward. He expressed optimism that APC would offer better opportunities to Nigeria and alternative to insecurity and other corrupt tendencies, if finally registered. President Goodluck Jonathan deserve to be given an automatic ticket in 2015, according to the Chairman, Board of Trustees of the Peoples Democratic Party (PDP), Chief Tony Anenih. Mr Anenih who proposed this at a meeting with some leaders of the party in Abuja on Thursday said President Jonathan has performed well to earn himself another 4-year stay at Aso Villa. “We all know too well that when, by circumstances beyond our control, Dr. Goodluck Ebele Jonathan became the President of Nigeria on May 6, 2010, and was later officially inaugurated on May 29, 2011, after his victory at the general elections, the situation in many sectors of our socioeconomic life, was very challenging, to say the least. The power sector was at the edge of a crisis, with power generation hovering below 2000 megawatts. Most of the key roads in Nigeria were almost impassable. The railway was still immobile; schools and health facilities were in total decay, while agriculture was in the throes of neglect. “Today, the Transformation Agenda is already yielding great and beneficial fruits: the power situation has improved largely because of decisive and diligent implementation of power sector reforms and massive injection of new facilities as well as rehabilitation of old ones. The railway is now up and running with the Lagos–Kano track of 700 kilometers as the flagship of this renaissance; most of the dilapidated roads which the administration inherited have been rehabilitated or reconstructed while new ones have either been completed or are near completion; so also has there been improvement in water transportation; agriculture has become a major contributor to the nation’s GDP and a veritable source of massive employment. Under this administration, the changes in the aviation sector have been quite remarkable. The rehabilitation of terminals across the country, have transformed our airports into world-class standards. “Also impressive and worthy of commendation are the administration’s policies and programmes for women, youths and other vulnerable Nigerians. With programmes such as the U-Win, Sure-P and Graduate Internship Scheme (GIS), the Jonathan administration has radically expanded access to wealth creation for these categories of Nigerians. History will surely be kind to President Jonathan as the first Nigerian President to give women more than 30 per cent of the positions available in the Federal Council of Ministers. “With the focused leadership and innovative programmes of this administration, it is not surprising that the Nigerian economy has grown in lips and bounds in the last two years. With an average growth rate of 6.5 per cent, Nigeria has become one of the fastest growing economies in the world and one of the most favourable investment destinations. The increasing potential of the Nigerian economy are a product of sound financial management and, without any doubt, the credit goes to the PDP-led government. “It is remarkable that all these achievements have taken place in spite of the enormous security challenges which the Jonathan administration has been confronting. The Boko Haram insurgency is clearly the most serious security threat to our country since the Nigerian Civil War. And, the administration has managed it well. Since the insurgency, the government has remained calm, focused and determined in the face of this enormous problem and, I dare say, it has overcome. We all have faith that the declaration of a state of emergency in three North-Eastern states would lead to the extermination of insurgency and terror in our country. “We must not forget the critical role which the PDP has played and continues to play in sustaining Nigeria’s unity. Today, ours is the only national party in Nigeria with its members spread across all the nooks and crannies of the country. We, therefore, have a strategic obligation to put our house in order so as to sustain the peace which we have enjoyed in the last 14 years”. Just after Zimbabwe’s top court told President Robert Mugabe to hold elections before the end of July, he appeared in a documentary combining domestic campaign mode with a diplomatic charm offensive. In the fly-on-the-wall show on South African television the 89-year-old opened up on the armed struggle for independence from Britain and making love to his 47-year-old wife. He also revealed he wanted to add to his 33 years at the helm of the poor, land-locked southern African nation. The footage provided a rare glimpse of Mugabe’s human side, surrounded by his family, and turned heads in Zimbabwe’s powerful neighbor, which is likely to be a major funder of an election and also a judge of its quality. But Africa’s oldest head of state skirted around the reforms to the army, police and media that he is under pressure to carry out to ensure a peaceful and credible vote. With the court giving him less than 60 days to call the election, there would be little time – even if he wanted to – to make any meaningful changes to state institutions that remain firmly in his camp. “My people still need me and when people need you to lead them, it is not time, sir — it doesn’t matter how old you are — to say goodbye,” he told South African interviewer Dali Tambo in the documentary, aired on Sunday but shot several weeks earlier. Five years after the disputed and violent elections that spawned a fractious coalition with his main adversary, Morgan Tsvangirai, Zimbabwe’s neighbors are desperate to avoid a rerun of a poll that sparked an exodus of opposition supporters. The regional 15-member Southern African Development Community (SADC) has called a summit this weekend to help Harare raise the estimated $132 million needed for the election, and Tsvangirai’s Movement for Democratic Change (MDC) says it will use the opportunity to tackle Mugabe on the issue of reforms. But with the economy bouncing back since 2008 from hyperinflation and a 40 percent economic contraction over the previous eight years, there is every chance that, even in a fair fight, Mugabe’s ZANU-PF party might win. Although there are no formal opinion polls, surveys in the last year by Freedom House, a U.S. political think tank, and African research group Afro-Barometer have given Mugabe a narrow lead over Tsvangirai, who has suffered hits to his personal and professional reputation since entering government. 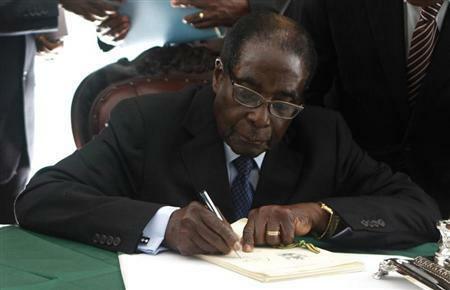 “Mugabe’s position is informed by his belief that he will win the elections and that ZANU-PF has recovered enough after 2008 to survive Morgan Tsvangirai,” said Eldred Masunungure, a political science professor at Harare’s University of Zimbabwe. The MDC disputes the findings of unfavorable voter surveys, saying Zimbabweans are still too afraid to express themselves freely after the 2008 bloodshed, and remains confident of victory.